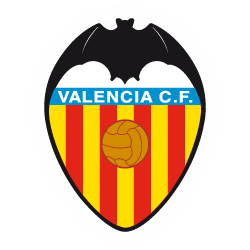 Valencia CF has enabled an online tool to reserve tickets for away matches. You can access this tool through Valenciacf.com-> Matches -> First Team-> Fixtures and Results or Click here Then, choose the match you want to go to and click on "Tickets". All ticket holders will be treated equally and, therefore, will have priority access in a first phase, in which they will be able to book a maximum of two tickets. One of those tickets has to be in the season ticket holder's name. To this effect, season ticket holders will access the booking platform through the website www.valenciacf.es . They must fill in all the information that will be requested. Keep in mind that on matchday, they can be asked to show their Spanish ID or NIE in order to verify that the tickets are in their name. After the first phase exclusively for season ticket holders and, if there are seats available, the Club will make the remaining tickets available to fans. This process is the same as the one mentioned above.